During the 2015 holidays, I was asked to locate a young man named Michael and try to get him help for his addiction problems. Little is more rewarding than when we can successfully convince an addict to enter detox and rehabilitation. I initially turned down the case, but the boy’s grandfather persuaded me otherwise. His plea was enhanced by showing me a photo of the 16-year old in a football uniform. The football uniform was from the same high school my son graduated. It seemed like it was meant to be. In September 2016, I received a call from Michael on my cell phone. He was doing well and had been sober for nine months. He wanted to go to lunch when he returned from another state where he was in rehab. I reminded him it was his turn to buy since I had treated him at McDonald’s the day he was found. He laughed but politely agreed. Yesterday was one year since you found Michael. I’m so happy to let you know he is sober, he is in a sober high school and making good choices. This year Thanksgiving was wonderful. I am truly grateful. Michael celebrated one year sobriety as well and is speaking at a few high schools reaching out to peers who may be going through stuff. I’m so grateful to you and your staff and everyone who had a part in rescuing Michael. Although we have received many similar notes, cards and texts, I thought sharing this one was appropriate, especially given the time of year. There is nothing more heartbreaking in the world of private investigation than when we successfully locate a runaway teenager or young adult, but we are not convince them to get into detox and rehabilitation. Conversely, little is more rewarding than when we successfully convince them to get help. When they actually complete the program, that is icing on the cake. I’ve posted multiple times about the topics of drug addiction, locating runaways and the current epidemic of our veterans getting hooked on heroin because they can no longer afford the prescription drugs necessary for their injuries. My investigators have been very successful in locating subjects in some of the and worst inhumane conditions. These are males and females from 12 years of age to 50, and they are in deplorable condition. They live in parks, they panhandle, many have no clothes or shoes, they sleep in parks or bus stations wrapped in stolen blankets from a local dive motel. Life is full of twists and turns. In 1969, after completing a fairly extensive three month academic, firearms and physical training program in Washington DC, I was sworn in at the Department of Justice as a special agent with the Bureau of Narcotics and Dangerous Drugs (BNDD) – later changed to today’s agency name of the Drug Enforcement Administration (DEA). I worked undercover for three years, traveled to over 60 foreign countries and put some fairly bad people in prison. These were not casual users or street-level dealers, they were what the Department called “Class One Violators” – in other words, leaders in organized crime. I called them other names. In 1981, I was injured. 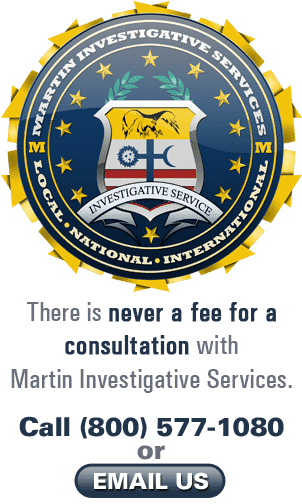 So I started Martin Investigative Services. Since that time, my investigators and I have been involved in hundreds of cases where our collected experience and expertise helped with the recovery of addicts. Ironically, the drugs are largely the same types I so desperately tried to prevent coming into the United States as a federal agent, so many years ago. Some of the individuals we have located and gotten into rehabilitation have invited us to their weddings, their children’s baptisms and more than a few college commencement exercises. Some send us birth announcements and holiday greeting cards. I have never heard again from those we found that declined to to try rehabilitation. Call any of our offices or our main toll-free number below if you have any questions or we can clarify any issues regarding locating and recovering your loved ones.